Sun., Oct. 9, 2016, 8:57 p.m.
ST. LOUIS – The question has been asked so many times over the past 16 months of this presidential election that it has become a cliche: Has anyone ever seen anything quite like this? And yet, once again, Donald Trump took Campaign 2016 to places no one could have imagined when it all began. In the wake of the release of an 11-year-old video of Trump speaking of actions that, if carried out, would amount to sexual assaults of women, the Republican nominee may have stepped back, issued another apology and tried to keep his demeanor in his exchange with Hillary Clinton as restrained as possible. He chose to do otherwise. It’s not that serious issues were not addressed and at times serious disagreements aired, whether it was over the Affordable Care Act or the state of U.S. foreign policy under President Barack Obama. But never has there been a debate in which the attacks, the body language or the exchanges conveyed the degree to which this campaign has reached the depths of division and disagreement, not just between the two candidates but between two Americans. Most of the fireworks took place in the first half of the debate. By the second half, the personal insults receded slightly and it was during these exchanges that Trump sought to press his case that Clinton is a symbol of a failed status quo and that he offers not only alternate policies but also would blow up that status quo with an entirely different style of leadership. Those are the arguments that Trump hopes will motivate enough fed-up voters to give him the presidency. They also could make some Republican leaders think twice before they leave him. If he accomplished that, then the night can be counted as partially successful for him. That means it won’t just be reaction to Trump’s performance in the debate that will affect the campaign coming days. Voters will continue to draw their conclusions about his fitness to serve as president apart from how he looked and sounded on the stage here in St. Louis. And while a rebound is possible, further slippage, or even status quo, could prove political fatal, given the precarious state of his candidacy. Meanwhile, Republican elected officials will make their own assessments of his and the party’s future in the context of the lewd video -and everything else they have endured from Trump both before and since he became their presidential nominee. In the hours before the debate, the list of GOP officials abandoning him continued to grow, and there’s little reason to doubt some continuation in coming days. Some Republicans are saying publicly that recapturing the White House is a lost cause, that Trump is so weakened that it’s too late for him to repair the damage. Their goal will be to protect their majorities in the House and the Senate. But their efforts are likely to intensify a growing civil war within the GOP – as the hostile reaction by Trump loyalists to some of those who split with him underscored. 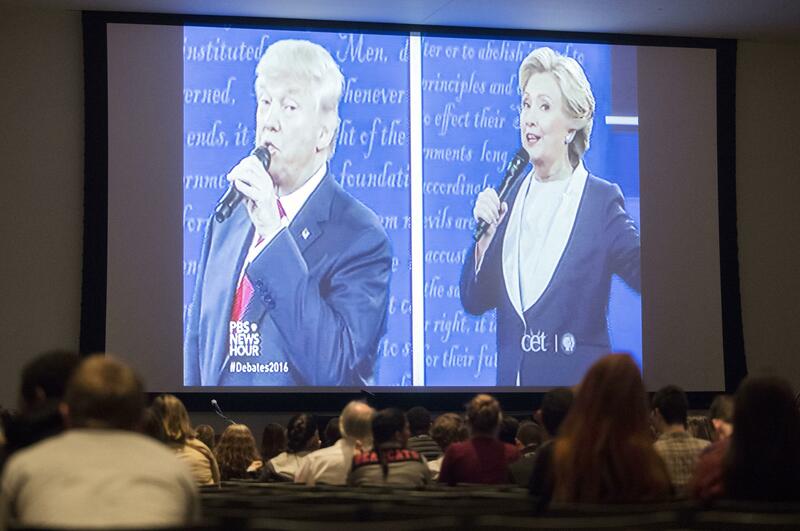 The final presidential debate won’t come for more than a week – Oct. 19 in Las Vegas. But its significance could pale in comparison to what happens in the days immediately ahead. Events are moving far too quickly and the stakes – for Trump personally and for the Republican Party – far too large for anyone to wait. Published: Oct. 9, 2016, 8:57 p.m.